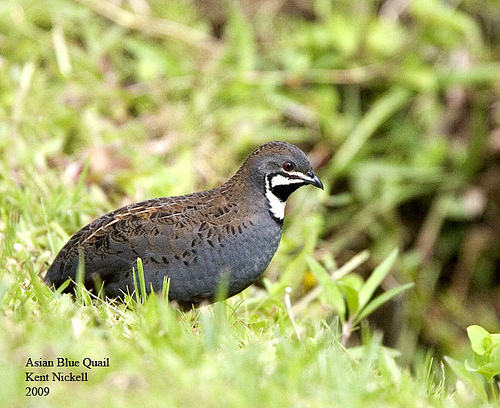 The Quail is a bird that is mentioned in the Bible in four verses. All the verses tell about the time when the Israelites, in the desert, complained about missing the things that they ate back in Egypt. The LORD was tired of the complaining and sent them some Quail to eat. Now, are we supposed to complain or grumble about things not going our way? No! Sometimes we do it anyway and the results aren’t what we expected. This is what happened to the Israelites. Have you ever eaten something, and then kept eating more, and then more? You should have stopped after the first part, right? This is what they did, sort of. The LORD gave them food, but they ate too much. Have you ever eaten too much and then became sick? 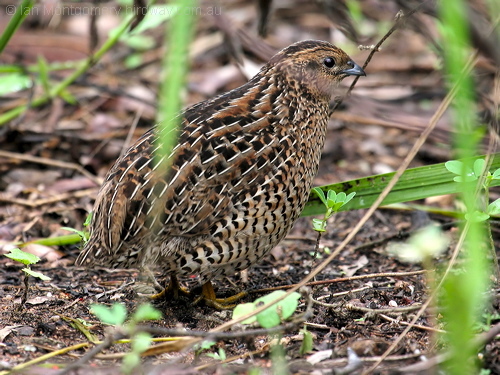 The Quail are in several families and are mid-sized birds generally placed in the order Galliformes. Old World quail are placed in the family Phasianidae, and New World quail are placed in the family Odontophoridae. Below are just two of the quail from each family. The King Quail, an Old World quail, often is sold in the pet trade, and within this trade is commonly, though mistakenly, referred to as a “button quail”. Many of the common larger species are farm-raised for table food or egg consumption. In 2007, 40 million quail were produced in the U.S. The California quail (Callipepla californica), also known as the California valley quail or valley quail, is a small ground-dwelling bird in the New World quail family. These birds have a curving crest or plume, made of six feathers, that droops forward: black in males and brown in females; the flanks are brown with white streaks. Males have a dark brown cap and a black face with a brown back, a grey-blue chest and a light brown belly. Females and immature birds are mainly grey-brown with a light-colored belly. 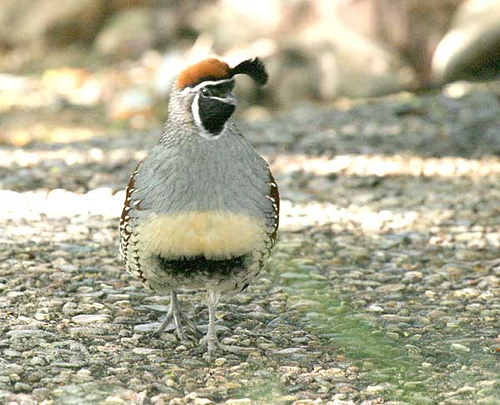 Their closest relative is Gambel’s quail which has a more southerly distribution and, a longer crest at 2.5 in (6.4 cm), a brighter head and a scalier appearance. 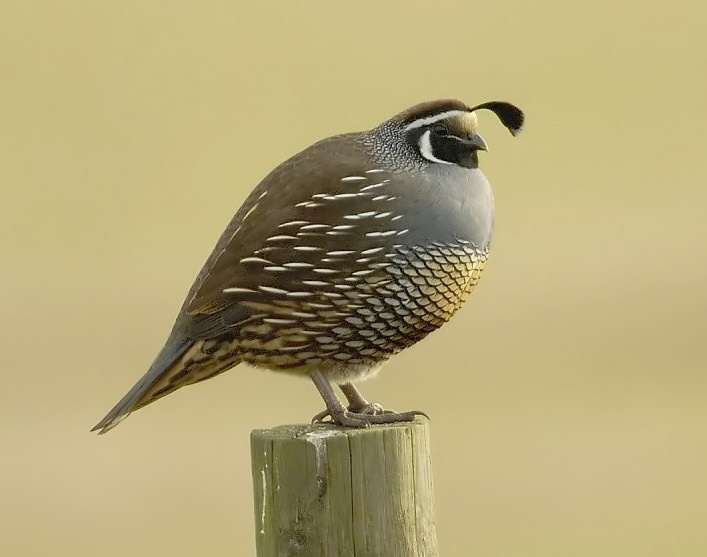 Watch for more Bible Birds – Quail posts. This entry was posted in Bible Birds, Birds, Birdwatching, Christian and tagged Bible, Complaining, Creation, Home School, Kids, Nature, Numbers 11, Photography, Quail. Bookmark the permalink.